A high energy, fast paced BootCamp designed to burn fat, boost cardio fitness and build muscle strength. Both fun and effective, we'll interlace HIIT (High Intensity Interval Training) with innovative circuits and calorie burning workouts. Everyone! We warmly welcome all abilities and offer options for every level. All we ask is that you give us everything you've got for the 45 minutes you're with us! There is free parking at that time in the morning, and a place to get changed too. To pay for a drop-in class head over to our BootCamp page. 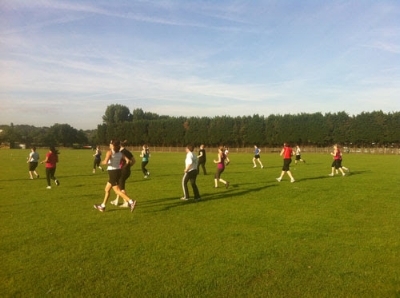 To book a slot using your HA fitness pass or as a Boot Camper, drop us a line. Make sure you do book in advance as we are limiting numbers (it's a bit different from being in the park!). Come along and give us a try - you won't regret it! Put down your Sunday night glass of wine. Get your kit ready and go to bed early. Because we'd love to see you in the park or studio at 6.15am tomorrow morning! You'll feel amazingly smug after your workout, and you'll glow all day. It will be worth the early start. We promise! This week you can choose from the following early morning sessions. They all start at 6.15am and finish at either 7.00am or 7.15am. You're welcome to use your class passes at any of these sessions. Or you can drop-in to the park for £10 a class or the studio for £12 (you need to pre-book for the later). Update On Studio Prices - We Want You There! Following feedback from all of you, we've made it easier for you to try out our new studio. It's really important that you book in advance. We have limited space, so we'd advise not leaving it until the last minute. Either book via paypal or drop us a line to let us know. To pay for a drop-in class head over to our BootCamp page. To book a slot using your HA fitness pass or as a BootCamper, drop us a line. Make sure you do book in advance as we are limiting numbers (it's a bit different from being in the park!). Cardio Blast - 5 Week BootCamp! 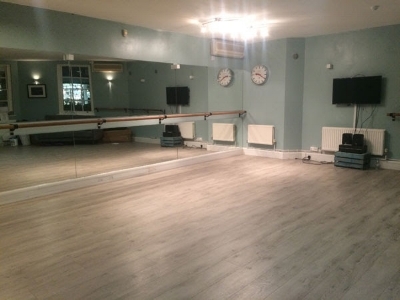 Jump start your day with 45 minutes of cardio fitness at our new studio in Wimbledon Village! Both fun and effective, we'll interlace HIIT (High Intensity Interval Training) with in novative circuits and calorie burning workouts. £60 for 5 classes or £100 for 10 classes (18 Sept - 20 Oct only). You can book by heading over to our BootCamp page, or drop us a line for more info.